We provide ultimate recovery software tool for your iPod device. You are one click away from retrieving your lost corrupted missing music, play lists and song files to your PC. The software proves to be a better option then sending your iPod for repair to any data recovery service. 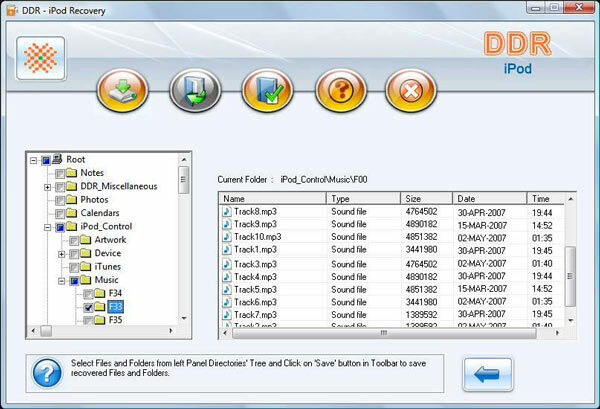 The iPod data retrieval Software is the ultimate tool for your iPod Photo and iPod Video to retrieves lost erased music files from iPod Shuffle, iPod Nano, iPod Mini, iPod Hi-Fi and iPod fifth generation series. Use iPod data recovery software to restore all previously existing data stored on your iPod. The safest and tested utility can show again all data lost due to accidental deletion, formation, corruption, improper usage, damaged file system from frozen iPod memory on Apple Macintosh or by Windows operating system. The software is designed to recover images, pictures, video, audio and mp3 from Windows operating system including Vista, XP, 2003, NT, ME and Windows 98 editions. The utility will do these jobs effortlessly. Complete iPod music recovery to your PC. The software support all major iPod including iPod Mini, Shuffle, Nano and iPod Hi-Fi and iPod video. Recovers corrupted iPod songs due to human error or any virus generated data loss. Complete data retrieval from accidentally formatted iPod memory. Restore lost music, deleted songs and other data stored on your iPod. 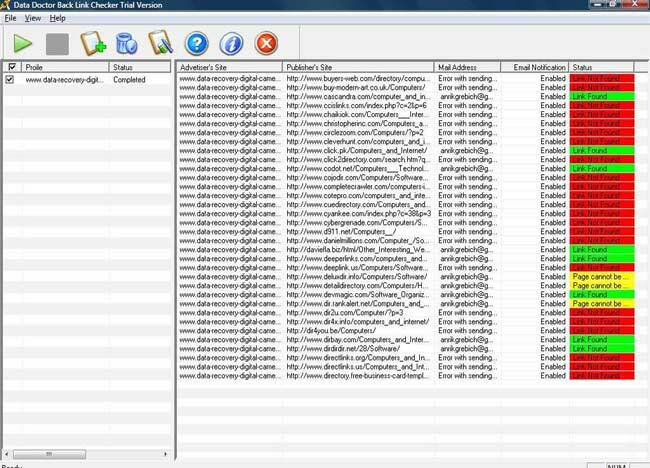 Data recovery from error messages while accessing your iPod on your PC. Easy to operate with no technical software skills.